You’re in the middle of a gig and your hands tighten up. You start getting worried that you might drop a stick. It becomes a self-fulling prophecy! You drop one, but thankfully you pick up a spare from your stick holder without missing a beat! But even if you never drop a drumstick. 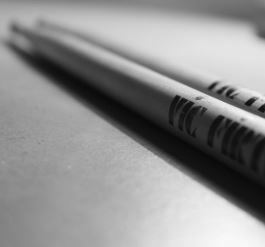 It’s still very useful to have a bunch of different drumsticks ready and waiting. Check out our picks of the best stick holders. If you wish to see a drumstick holder that will provide you the possibility to place up to eight pairs of sticks based on their thickness, you should choose On-Stage DA100 best drumstick holder. It comprises clamp that can easily attach to any stand you prefer, which is a much more convenient choice when compared with other holders that you can find on the market. You do not have to worry because extension arm is angled downward and that will provide you the possibility to remove them with ease. The material comes from neoprene, which means that you can clean it and maintain it easily. The C-shape mounting clamp is a convenient choice because it will fit most hardware and stands. You can rest assured because extension arms are angles at 45 degrees for simple placement and removal of sticks during the performance. 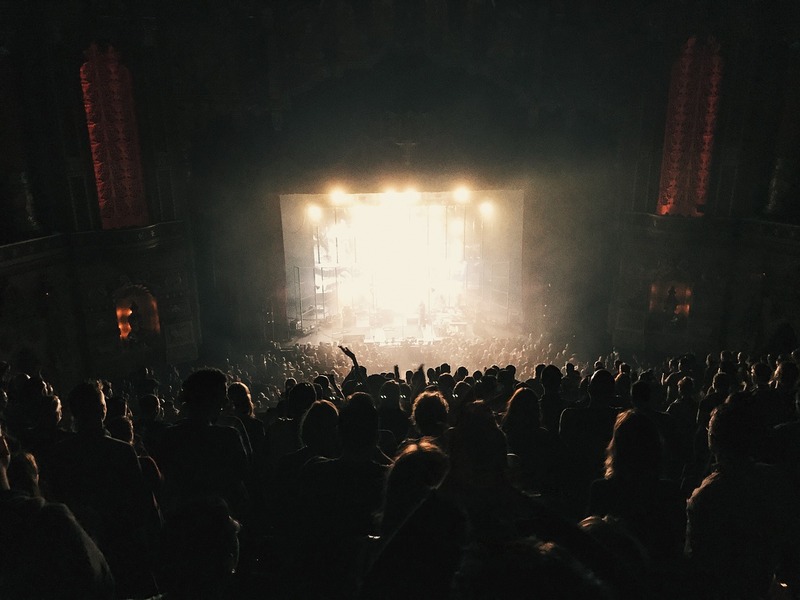 We can all agree that Vic Firth is one of the best brands when it comes to drumsticks, but they are also making accessories that will help you enjoy during the gig and concert. 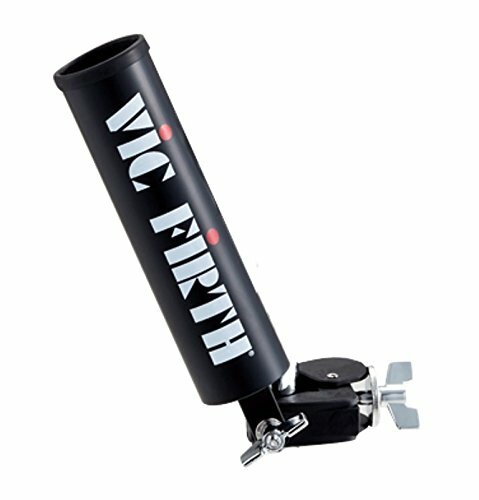 Finally, you will be able to enjoy instant access to your sticks whenever you need them with this Vic Firth stick holder. Have in mind that this particular drumstick holder features caddy clamps so that you can place it on both hardware and stands based on your preferences. It is crucial to have sticks right next to you during the gig in case one break or slips, and you will be able to place them in front of you. Of course, it is not that durable when compared with other, more expensive solutions, but you will be able to get it for the affordable price tag, which makes it accessible and convenient for both beginners and professional drummers. 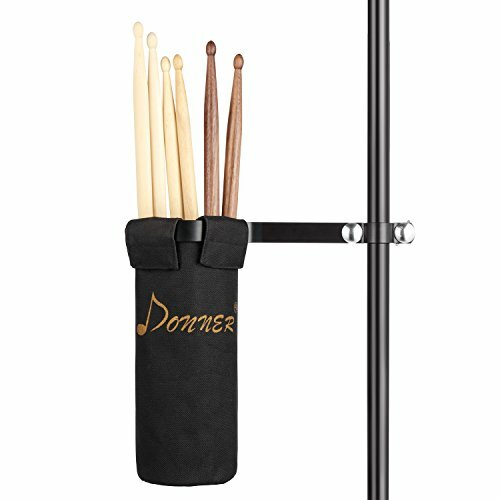 If you wish to find a drumstick holder that will be able to equip up to ten pairs of standard drumsticks, you should consider Donner Stick Holder that will provide you peace of mind. It comes with a cup holder that you can remove from the hardware, which makes it simple to clean and maintain afterward, especially when compared with other holders on the market. Extension arms are angled downwards so that you can easily remove the drumsticks and place the one you do not need as well. Finally, you do not have to worry about its durability, because it comes with water-resistant nylon tipped screw that will adjust to any standard drum stands. It is a convenient choice for both an orchestral player and if you are percussionist too. The heavy-duty clamp will ensure that the holder stays in one place and due to enforced aluminum alloy framework; you will be able to use it for years after purchase. 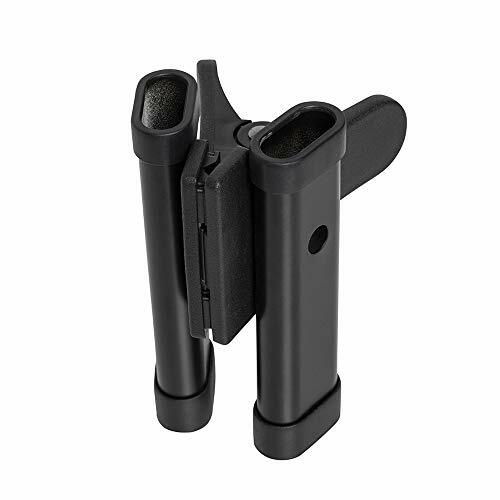 The best thing about Stagg DSH drumstick holder is its ability to use it on any stand possible, which makes it practical and convenient when compared with other holders on the market. You can also place it on hi-hat stand as well as on cymbal stands, which makes it a versatile solution. It can accommodate only one pair of mallets or sticks, and that could be its disadvantage if you neglect the idea that you will pay a cheap price tag to purchase it. The spring tension clamp is simple to place and install, and you will always have a spare pair of drumsticks during the rehearsal or gig. In all cases, you will be able to take it with your drum set, and you will not notice it due to the compact design. The materials make it durable so that it will stand the test of time in your possession. The combination of sturdy construction, compact design, and affordable price tag is the main reason for its immersive popularity. If you wish to find a drumstick holder that will provide you the possibility to attach it on any cymbal stand close to you during a gig, you should consider Promark SD200 best drumstick holder. It is highly adjustable and flexible, and due to angle positioning, you will be able to place sticks and use it without any additional hassle. 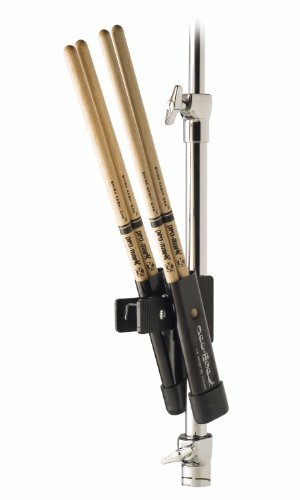 It can easily hold up to two pairs of mallets or drumsticks, which is excellent as the reserve pack during the concert. It is simple to pick and grab, which will allow you to avoid making a mistake in case that drumstick breaks or slip. When you are in a hurry, the best thing that you can do is to find a drumstick holder that will accommodate your needs along the way. Of course, you will not get drumsticks within the package, but you will be able to use it so that you can improve your playing style with ease. What Is It? – You do not have to pay additional expense to get drumstick bag, because holders are excellent choices that are made of plastic and contain clamp that can easily attach to drums. This particular hardware is vital and will provide you the ability to pick a drumstick during the performance. However, they can hold a limited number of sticks, which is why you should choose based on your preferences. Who Should Use It? – Most drummers require drumstick holder since the main idea of having them is the ability to take the stick in case you drop or break the one you are playing with. It does not matter if you are an amateur or professional drummer, because you will need it primarily for tours. Mounting Capabilities – Have in mind that most drumstick holders feature a clamping mechanism that will allow you to attach it on various hardware stands. The most popular solution is placing it on a cymbal stand, below the hi-hat, and you can also find a specific position for a holder you are using. 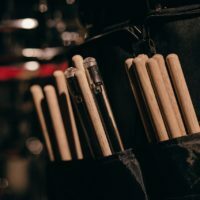 The primary goal of this particular guide is to help you determine the best drumstick holder that you can find on the market. As you can see from everything we have mentioned above, it is not simple to choose because you can find a wide array of options. That is the main reason why you should reread the guide and reviews so that you can see which one meets your criteria. Finally, that knowledge and information will help you make a quality purchase. 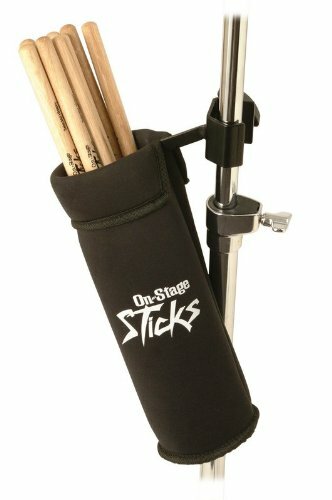 Best Option – Our Pick- On-Stage DA100 best drumstick holder is the most exceptional choice that you can make because it can accommodate eight pair of drumming sticks. It is also a durable solution that will provide you peace of mind when you acquire it. Budget Option – Stagg DSH drumstick holder will provide you perfect ratio between value and price. It is a basic holder that can only take one pair of drumsticks, but you will still be able to use it with ease and find it for an affordable price tag.